Awakened was written by P.C. Cast and Kristin Cast and is the 8th book in the House of Night Series. I think I enjoy this series more with each book. Each time I finish a book now I'm sorry that her next book isn't out yet. I keep a watch on when the next will be available since I just can't wait to see what happens next. 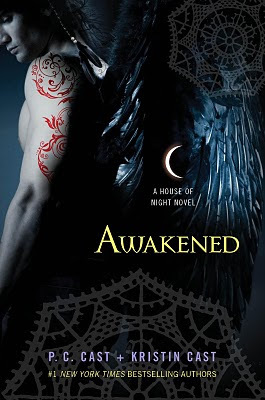 Unfortunately for me... Awakened was just released... so I'm sure it'll be a while before I find out what happens with Zoey and her high school friends next.